Are There Financial Benefits To Having A Tech-Savvy Board? CAMBRIDGE, Mass., March 12, 2019 – Along with opportunities, the digital era brings many risks for companies, such as cybersecurity breaches and business model disruptions. As a result, it’s important for all business leaders to be digitally conversant. A recent study by Peter Weill, senior research scientist and chair of the MIT Center for Information Systems Research (CISR), and Stephanie Woerner, a research scientist at CISR, found that this characteristic is particularly critical for board members, as it is a new financial performance differentiator. Their study showed that companies whose board members are digitally savvy outperform other companies in areas like revenue growth, return on assets, and market cap growth. An article on their study, “It Pays to Have a Digitally Savvy Board,” was published today in the Spring 2019 issue of MIT Sloan Management Review. In addition to Weill and Woerner, the article was coauthored by Thomas Apel, chairman of the board at Stewart Information Services Corp., and Jennifer Banner, CEO of Schaad Cos. and immediate past lead director of BB&T Corp.
“When a board lacks digital savvy, it can’t get a handle on important elements of strategy and oversight and thus can’t play its critical role of helping guide the company to a successful future. But companies can fix that by understanding what characteristics to look for in existing and new board members, managing board agendas differently, and cultivating new learning opportunities,” they wrote. In a machine analysis of the digital know-how of all of the boards of U.S.-listed businesses, the researchers looked at data from surveys, interviews, company communications, and the bios of 40,000 directors. They defined digital savvy as an understanding, developed through experience and education, of the impact that emerging technologies will have on businesses’ success over the next decade. 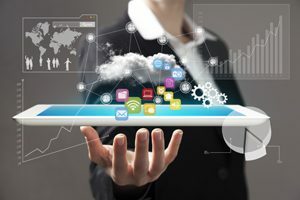 Individual board members should have an enterprise-level understanding of current technology like digital platforms, AI, big data as well as processes that enable new business models, improved customer experience, and efficient operations, and how to experiment and deploy these initiatives at scale. It takes three members with digital savvy to have a statistically significant impact. The researchers found little difference in financial performance between companies with one or two digitally savvy directors. However, those with three or more digitally savvy directors had 17% higher profit margins, 38% higher revenue growth, 34% high return on assets, and 34% higher market cap growth. Digitally savvy board members use their insight about trends and transformation to help managers explore the bigger picture facing the business. For example, rather than evaluating the project risk of an initiative, they look at the risk of not doing something new. To build a savvy board, the researchers suggested three steps. First, they noted the importance of adding new directors. “For most boards, having three digitally savvy directors would mean adding at least one new board member,” they wrote. The second step is to alter the board agenda by increasing the digital savviness of existing members through activities, such as engaging external experts as advisors, or digital tourism — visiting born-digital companies, and visiting noncompeting companies that have made progress in digital transformation in similar industries. The board can also conduct strategy retreats to focus on digital threats and opportunities, talk to external speakers, and participate in case studies of learning opportunities. Finally, companies can encourage self-directed learning through courses, research reports, conferences, and mentorship. “Just about every company today is grappling with digital transformation in some way. Although there is no proven playbook yet, the active involvement of a savvy board can give companies a performance edge over competitors that are facing similar challenges,” they wrote.